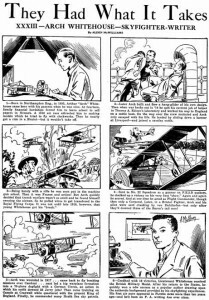 One of our favorite aviation pulp writers here at Age of Aces is the extraordinarily prolific Arch Whitehouse. The series characters he created for Flying Aces and Sky Birds were extremely popular with the readers back in the 30’s and 40’s, and they are among the most popular downloads in our “Age of Aces Presents” section. Month after month he brought these colorful aces to life. They had names like Buzz Benson, Tug Hardwick, Coffin Kirk, Crash Carringer, the Casket Crew, and many more. 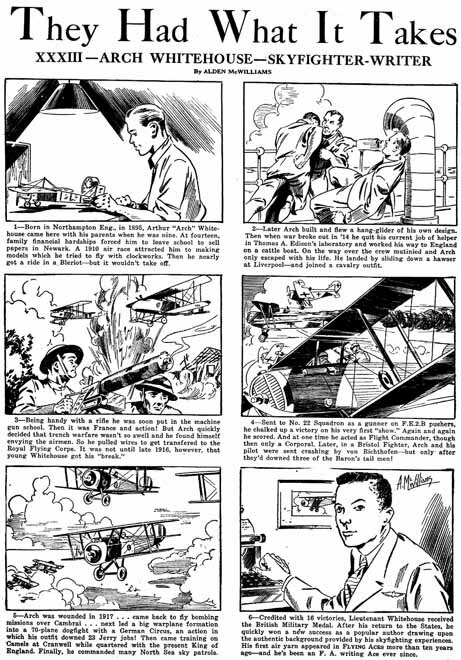 Seventy years ago this month Flying Aces magazine ran an illustrated profile of Whitehouse’s life, including his exploits as a WWI pilot. 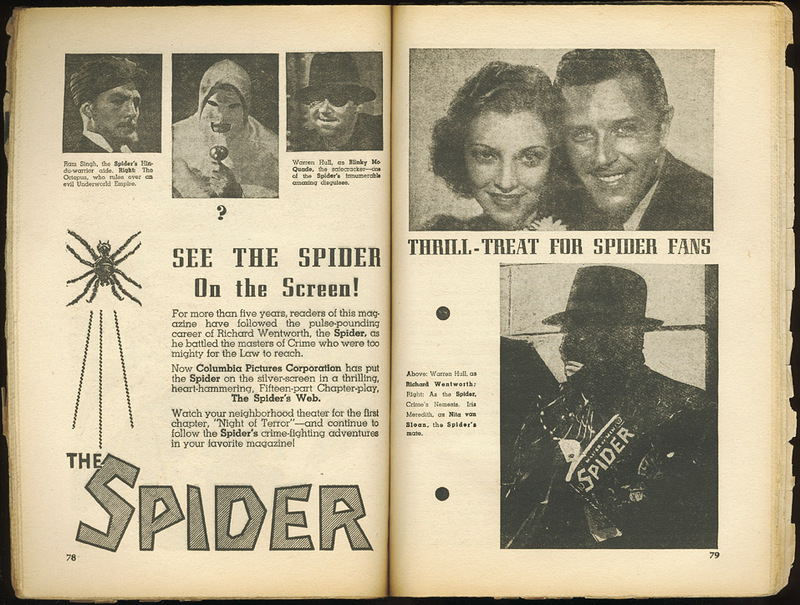 Here it is as it appeared in the October 1939 issue. While Whitehouse’s account of his war record is entertaining, experts have attacked it as, at best, an exaggeration. And at worst, outright fabrication. 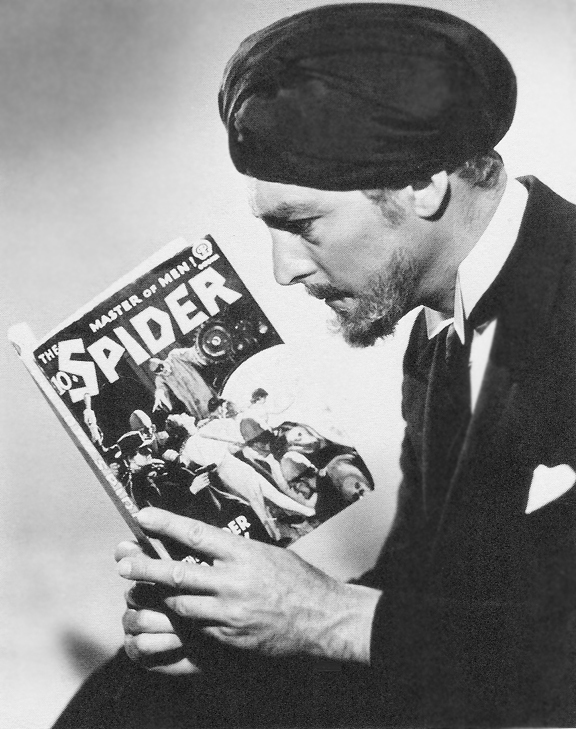 It seems that the line between fiction and non-fiction was a little blurry for Arch Whitehouse. Reporter/Flying Ace Billy “Buzz” Benson returns with a new adventure. Westward toward Shanghai, where smoldered a fire of war that threatened to blaze forth and enflame the whole world, a Yankee submarine cut through the waters of the Pacific. Deep in its hold was the Sea Hawk, the plane chosen to carry Buzz Benson straight through the Japanese air zone with secret orders that would mean war or peace. But not twenty cable lengths away steamed a Japanese sub, and in its hold was another Sea Hawk—awaiting the moment when Benson should begin his mad air race to Shanghai!